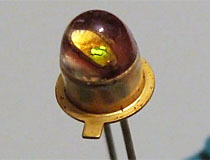 The MV2 is Monsanto's first green LED, and was released in 1969 as part of the same series as the MV1. 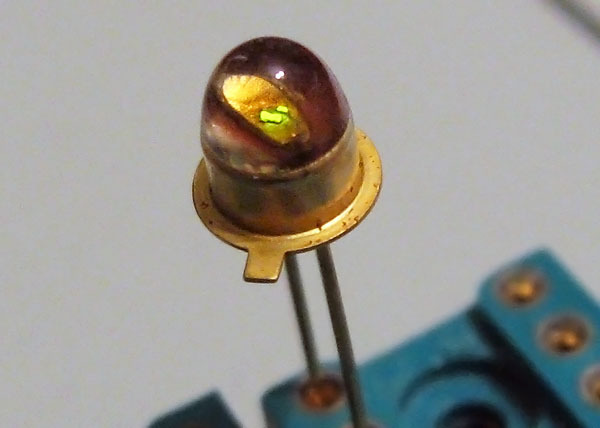 This device has a totally unusual water-clear die, most likely made of silicon carbide, which emits a pale green light when energized. 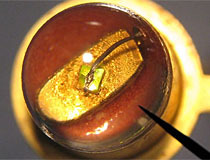 The die does not have a traditional ball bond and contact pad, the contact wire appears to be soldered or brazed directly to the surface of the die. 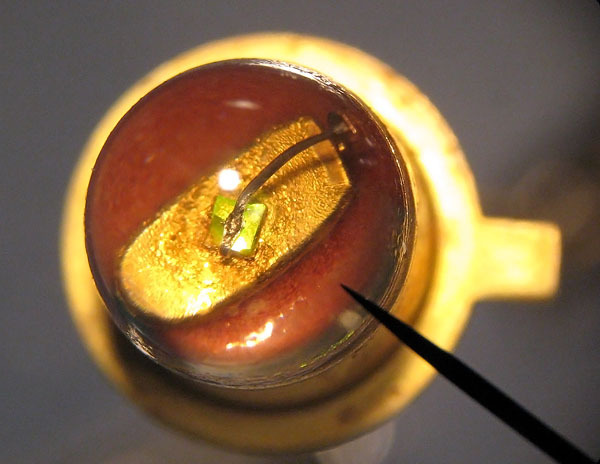 The MV2 sold poorly when it was released; the light output from the device is so dim as to be nearly worthless, and the majority of customers opted to purchase Monsanto's brighter MV1 LED instead. It probably did not help that the list price for a new MV2 was approximately $265 dollars in 1969, a fabulous sum by modern standards. Note that that there is much confusion about this part in the LED collector community, largely due to the total lack of part numbering on early LED devices. 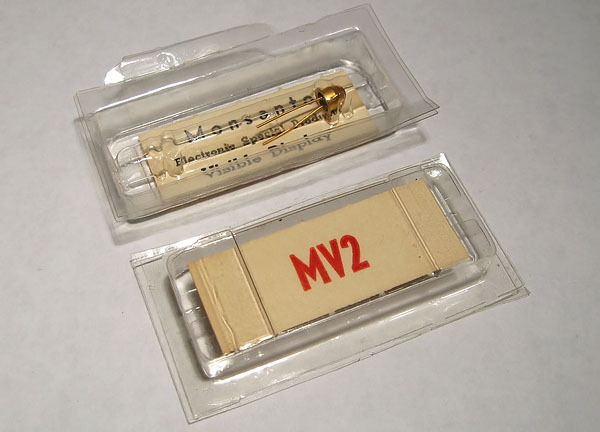 The MV2 was widely believed to be a red-emitting device by collectors, and only the recent discovery of sealed numbered samples revealed this error. Monsanto MV2 LED at 30x magnification. Note the characteristic 'anvil head' contact surface and crude bond wire attachment. Monsanto MV2 LED with power applied.